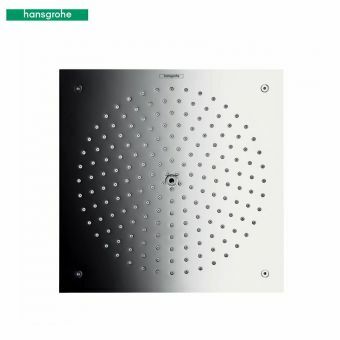 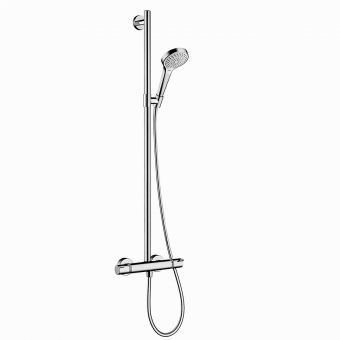 A stunning example of contemporary shower technology, the Hansgrohe Croma Select E 180 Overhead Shower brings the very best of contemporary technology and resources available to your bathroom. 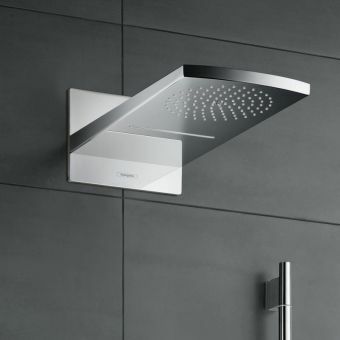 Deftly incorporating two essentially different spray patterns into a single shower rose, this shower head brings multiple benefits to the bathroom space. 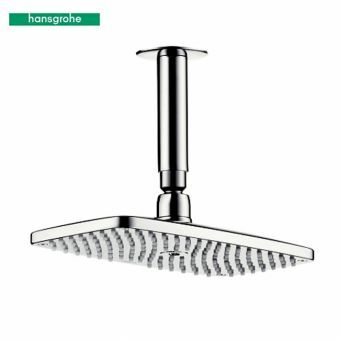 With a top located inlet, this shower head can be attached either to the ceiling inlet, or to a wall outlet via a shower arm. 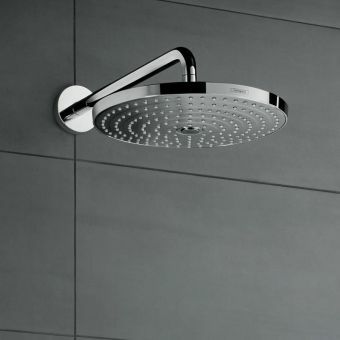 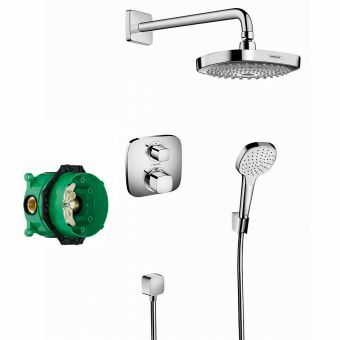 Sporting a tilting head joint, the shower head can be adjusted to give just the right level of coverage. 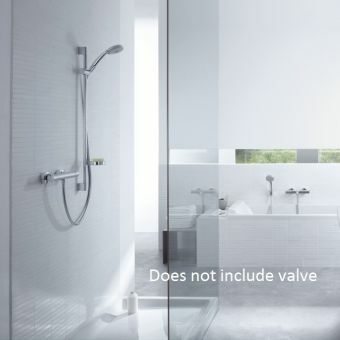 Two separate spray type patterns can be quickly selected. 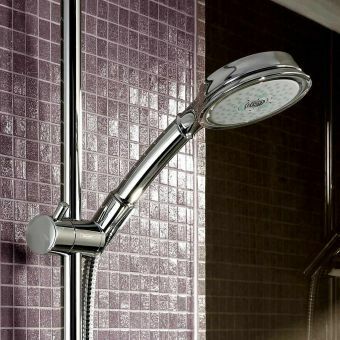 Choose from the standard Rain setting, or increase the vigour with the IntenseRain, guaranteed to refresh and rejuvenate with its torrent of water. 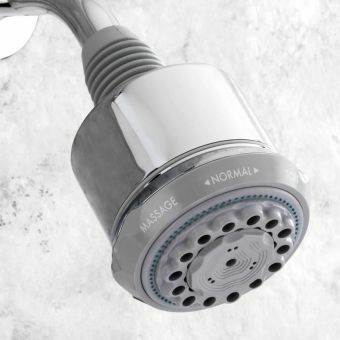 Simply click the select switch on the shower head, and the pattern will instantly change to suit your preferred pattern. 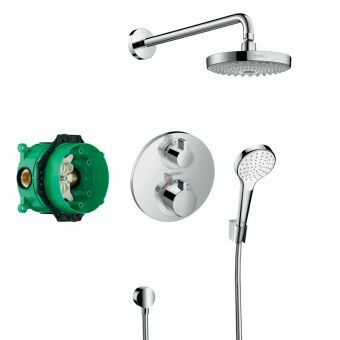 Integrated into the Croma Select E 180 is the patented Hansgrohe Quickclean, which greatly helps in reducing or resisting build up of limescale, and makes maintenance and cleaning quick and easy. 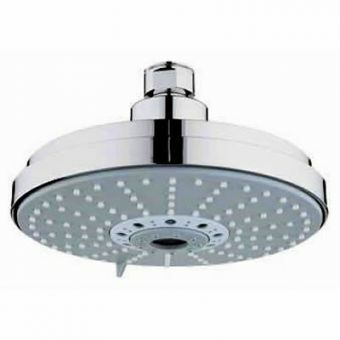 The spray surface comes in white or chrome options to match the surrounding decor.